How do you differentiate between what your head says and the true desires of your heart? We often demonize or at least discount the mind as if it was the unwanted step child of our human experience. Any part of ourselves that has been disenfranchised, discounted, or unloved will act much like a rebellious teenager and will take hold of your proverbial steering wheel and careen down the street yelling. That voice will get louder until it’s listened to fully and loved unconditionally. ALL parts, without exception, including both your heart and mind in both their light and shadow expressions, have a positive intended outcome they are wanting you to hear. Even the shadow of your mind which is to tell you stories of not enoughness or fear or judgment have a positive intended outcome for you, just as the light side of your mind that gives you creativity, new insights, and ideas. Same goes for the heart. First, realize the utter wisdom, depth, and value of each of these aspects of my being (all of them) as my connection to the Universe knowing itself through me as a unique expression and projection of its consciousness. Realize that your head and your heart are giving you ‘information’ in many ways and that really all that is required is listening with your whole being. Second, understand what the feeling of resonance feels like in my body, heart, mind, and spirit. For me, it’s an experience of expansion, energy, and aliveness. It’s a sometimes subtle yes. Sometimes I feel it in my body loudest, other times I hear it in my mind cheering me on, and at other moments, it’s a feeling of pure emotion. The key is a journey into feeling aligned with who I am. Any feeling other than resonance is a no or a not yet and deserves more exploration before acting. If you are experiencing objections in your mind and a yes in your heart, the idea is not to discount your mind and accuse it of overpowering your heart. The idea is to listen in that moment and find out what your mind is afraid of? What’s it trying to protect? What’s sacred and precious enough to it that it’s willing to be loud and critical and judgmental to get your attention long enough to have you pause. Often those very judgments, if you look closely and openly, are the jewels you were looking for. Underneath those judgments is a way you’d like it to be, an aesthetic, a value, a way of being that is greater than what’s being expressed in the space around you, and the fact that it’s not there makes you upset or angry. The anger or fear is pointing you towards what would be in resonance for you. Follow the path of those judgments there, letting go of the surface complaint and looking for the more grand way of being the totality of you is actually a yes to. I believe always always always you will be best served if all parts of you are in alignment. When you are in alignment, you’ll never want something that helps your heart but hurts your mind. Nor will you desire something that helps your mind but overshadows your heart. When you are aligned you will only witness the symphony of their singing together and an experience of synchronicity, ease, and flow with what is happening. Anything less than this means isn’t worth your time, energy, and efforts. 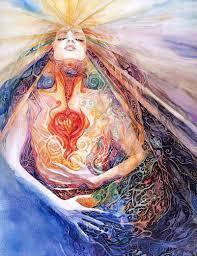 Let it lead you toward the integrative place of resonance that you will unmistakably feel in your entire being. Turn up the volume on that feeling and allow it to become your compass.